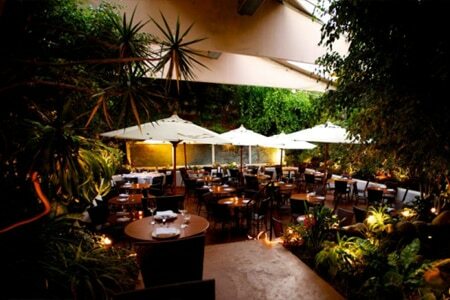 Consistently inventive California cuisine in a lush garden setting that attracts local celebrities and power players. : Restaurateur Michael McCarty is a pioneer of California cuisine and mentor to some of L.A.'s finest chefs, and his establishment has become a culinary landmark and local treasure. This Santa Monica destination used to offer more of a fine dining experience, but the white tablecloths are now gone in favor of a more democratic approach. 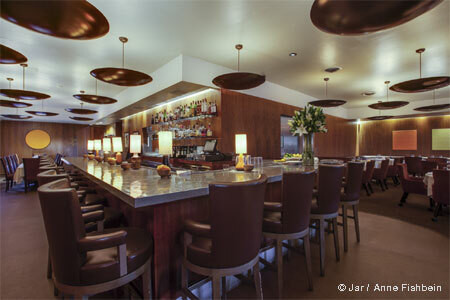 Near the entrance is a section of high-top tables and the bar, while upstairs there are private dining rooms. We've always enjoyed immersing ourselves in the atmosphere of the lushly landscaped terrace that exemplifies the Southern California lifestyle at its best. The restaurant's adherence to a well-earned reputation for market-fresh ingredients and creativity on the plate means that the kitchen consistently turns out quality California cuisine. You might encounter plates like black garlic rice with sumac yogurt, roasted turnips and pickled wasabi. In addition to being a renowned restaurateur, McCarty also has a passion for wine. Selections from his three-acre estate, The Malibu Vineyard, often appear on the sophisticated wine list. Diners browse through the options on iPads.